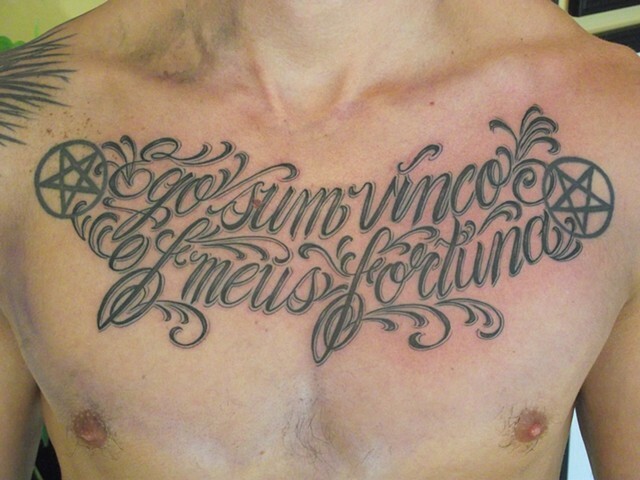 Black and gray text chest tattoo. Dirk Spece. Gold Standard Tattoo Shop. Bend, Oregon.